Thyme scented, fertile and long famed for its white marble. Parikia the main port is an enchanting Cycladic town with an array of cafes and restaurants spilling out onto the beach making for delightful evenings under star encrusted Aegean skies. Paros is an ideal base from which to explore the many varied islands of the Cyclades as it is the hub of the Cycladic ferry system. 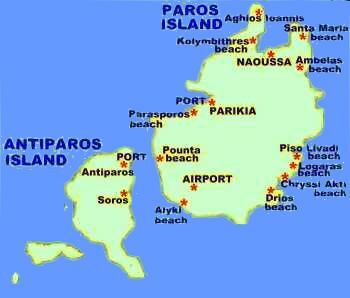 Paros island -Greek hospitality - Low cost - Sandy beaches - Good Nightlife - Good base for exploring nearby Greek islands.